BioResearch Group headquarter is located in Warsaw, 9/U-2 Sokołowska St., offices and Site are located in Kajetany (Mokra 7 St), near Warsaw (10 km from the suburbs), on the area of Center of Hearing and Speech Medincus. Due to convenient transportation, it has an excellent access from the Chopin Airport (20 km) and central railway station in Warsaw (21 km). The Site is located in the peaceful and friendly place, far from the bustle of the city, surrounded by natural environment with beautifully arranged walking places (park with little ZOO for children). 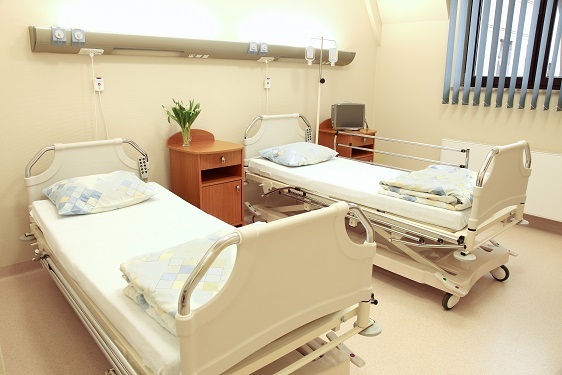 The facilities are customized for patients so to ensure them silence and rest while they are hospitalized. 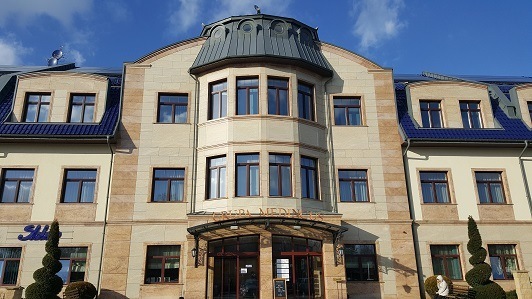 and has access to the restaurant and the hotel of "Kajetany Park"
The building where the Site is based was designed to fulfill all requirements of both regular authoritites and prominent, demanding clients. It is secured by modern electronic systems as well as by security company and 24-hour technical service. 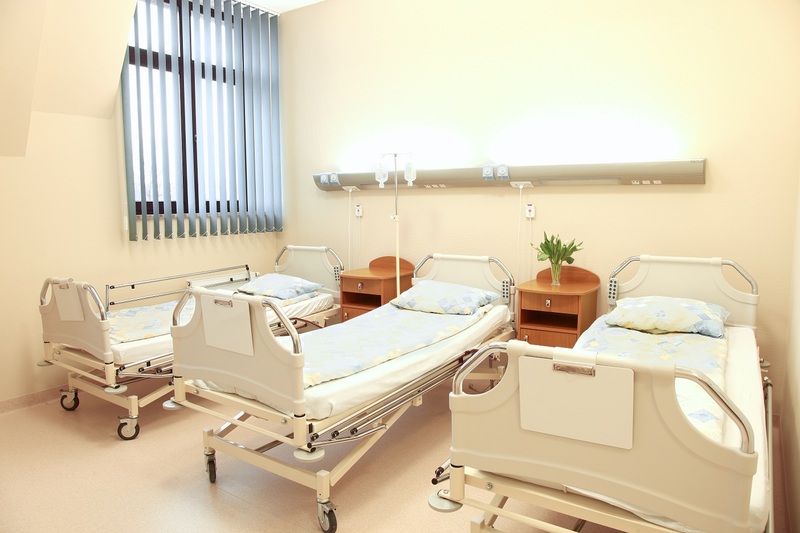 amenities for patients which make pleasent time during hospitalisation, such as: inside and outside recreational area, TV-set in each room, free Wi-Fi. 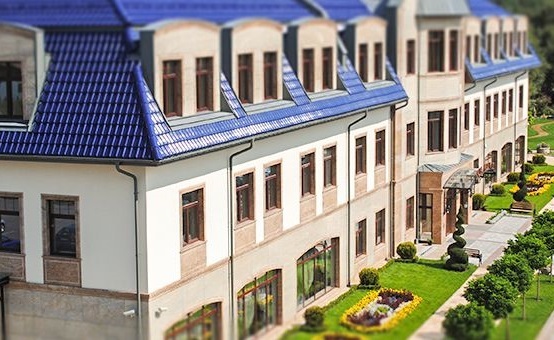 We cooperate with the Partner Site, Clinical Research Group, 2nd and 3rd phase outpatient clinic, which is located in the centre of Warsaw (Sokołowska 9/U-2 St), in Wola District (also a head office of our company). This is an outpatient clinic, fully equipped and specially designed for conducting clinical trials of the later phases. 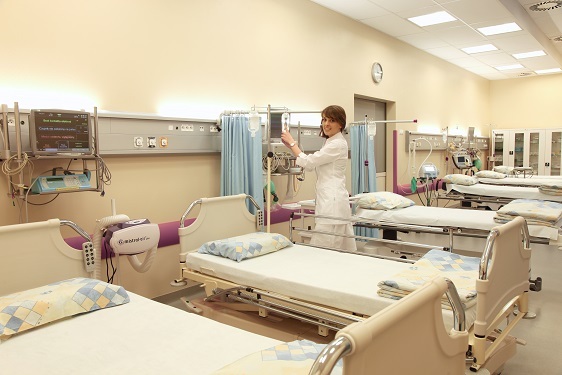 The medical part of the clinic consists of full-profile hospital unit and emergency care unit (ECU). Each facility in the clinic (including Subjects rooms) is safety monitored by our internal monitoring system (set of cameras connected to our network - recordings are available only for restricted members of the Team and stored on our internal server). 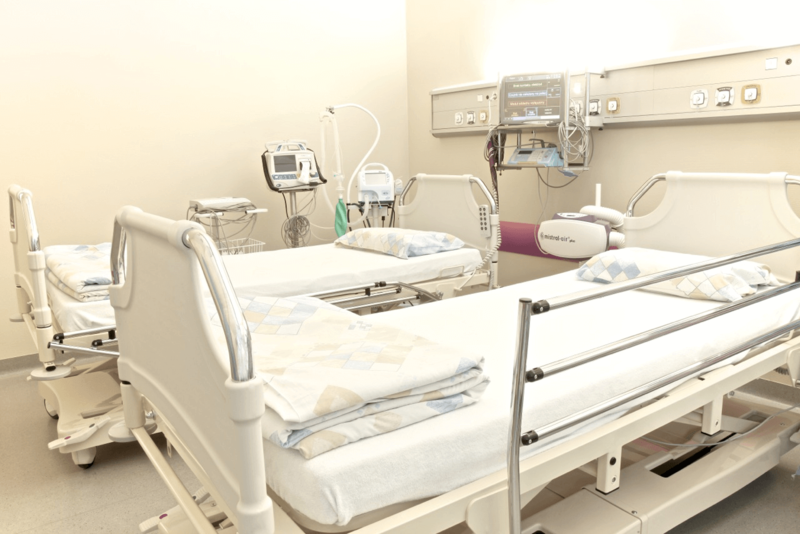 The Emergency Care Unit is located in the same floor as hospital unit and has a restricted access only for authorised study team. All equipment is connected to power failure protection system so to secure patients in case of any distaster situations. 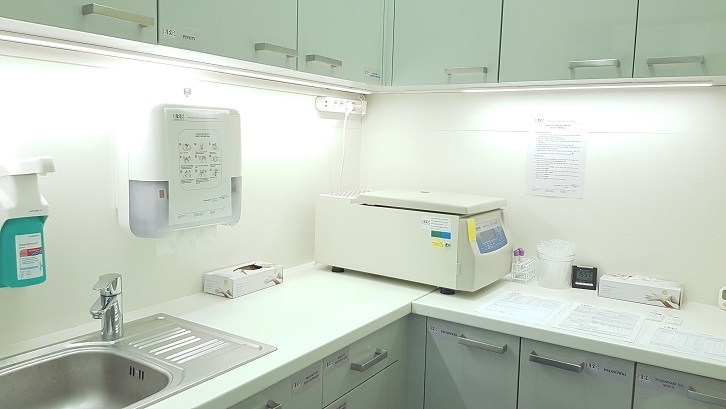 BioResearch has its own onsite laboratory prepared for processing and storage biological samples collected during the study. It is fully equipped with modern devices and designed specially for our purposes. 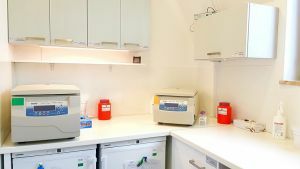 We have modern, serviced equipment required for properly performing laboratory procedures: centrifuges with cooling system, freezers (below -20° and below -80°C). All equipment has its back-up in case of any emergency situations. Due to installed central ventilation and air conditioning system, we can assure proper temperature conditions for samples storage and processing. All facilities and devices, where the samples are processed and stored, are electronically monitored as for temperature conditions. The system has implemented an emergency alarm module, which is programmed according to our demands. The system has the possibility to send urgent text messages to our employees responsible for the samples safety and initiating emergency procedures (according to our disaster plan). All data recorded by the system is stored on our internal server and are available for review at any time. The Site's Pharmacy is specially designed for storage and maintain of Investigational Products (IP). The access to the pharmacy room is restricted and available only for authorised study staff. All cabinets and equipment where IP is stored are additionally secured by locks (keys are available only for limited study staff). The Pharmacy room has ventialation and air conditioning system which allows to ensure proper temperature and humidity of IP storage. All rooms and device in Pharmacy are equipped with electronic monitoring system which records temperature data constantly and stores it on our internal server. It has also implemented alarm system in case of temperature abnormalities. The administrative area of BioResearch group consists of office and coordinators' rooms, in the amount that allows us to conduct different studies at the same time. We also provide rooms for CRA's during monitoring visits. In case of investigational meetings, conferences, trainings and other events we have a possibility to use spacious conference room with multi-media system. Coordinators' rooms are designated to maintain and storage of study documentation before its transport to the dedicated archives (they are equipped with fire-proof cabinets with locks). All rooms have access to Wi-Fi and IT infrastructure, they also have air-conditioning and power-supply system. BioResearch Group Sp. z o. o. owns a medical centre which is registered under the name of "BRG Medical Centre". The outpatient clinic is situated on the same floor as the clinical unit and has a direct access to the clinic. On the are of app. 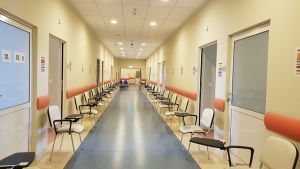 100 m2, 12 fullu equipped rooms are situated, including diagnostic rooms for different procedures such as biological samples collection, ECG, spirometry and full physical examination. 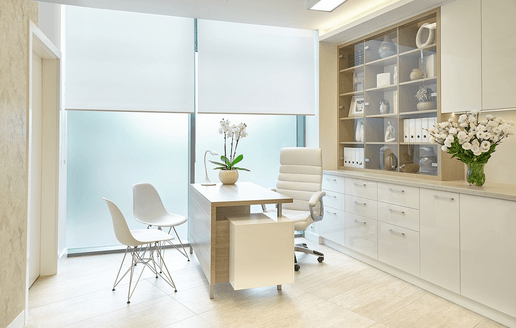 The outpatient clinic includes also spacious waiting area with multi-media equipment so to make it more pleasure to spend the time at the clinic. As an outpatient clinic, we have several specialist day clinics: general health, dermatological, neurological, oncological, pulmonological, cardiological, endocrine. The outpatient clinic can accomodate up to 150 patients at a time so there is a possibility to conduct large screening or ambulatory visits. We strictly cooperate with Clinical Research Group, the company which conducts 2nd and 3rd phases clincial trials and is is located in the area of multi-functional ambulatory clinic based in the centre of Warsaw (Wola district). This center is our second (back-up location). The Site has fully equipped rooms for patients' service, conducted clinical trials procedures are set on the surface of about 200 m2. The clinic was built in 2014 and since then provides services for patients and study subjects. It was specially designed for performing ambulatory visits with all facilities needed for performing study procedures including samples collection, processing and storage. All rooms have controlled acces (electronic cards are distributed only for authorised study team members).